Taiwan Province is one of the two administrative divisions of the Republic of China (ROC) that are officially referred to as "provinces". The province covers approximately 69% of the actual-controlled territory of the ROC, with around 31% of the total population. Originally Taiwan Province covered the entire island of Taiwan and all its associated islands. All the special municipalities were split off from the province between 1967 and 2014. Since 1997 most of the Taiwan provincial government's functions have been transferred to the central government of the Republic of China following a constitutional amendment. The Taiwan Provincial Government has effectively become a nominal institution under the Executive Yuan's administration. The People's Republic of China (PRC) regards itself as the "successor state" of the Republic of China (ROC), which the PRC claims no longer legitimately exists, following establishment of the PRC in mainland China. The PRC asserts itself to be the sole legitimate government of China, and claims Taiwan as its 23rd province, even though the PRC itself has never had control of Taiwan or other ROC-held territories. The ROC disputes this position, maintaining that it still legitimately exists and that the PRC has not succeeded it to sovereignty. In 1683, Zheng Keshuang (third ruler of the Kingdom of Tungning and a grandson of Koxinga), surrendered to the Qing following a naval engagement with Admiral Shi Lang. The Qing then ruled the Taiwanese archipelago (including Penghu) as Taiwan Prefecture of Fujian Province. In 1875, Taipeh Prefecture was separated from Taiwan Prefecture. In 1885, work commenced under the auspices of Liu Ming-chuan to develop Taiwan into a province. In 1887, the island was declared an independent "Taiwan Province" (officially Fukien-Taiwan Province), with Liu as the first governor. 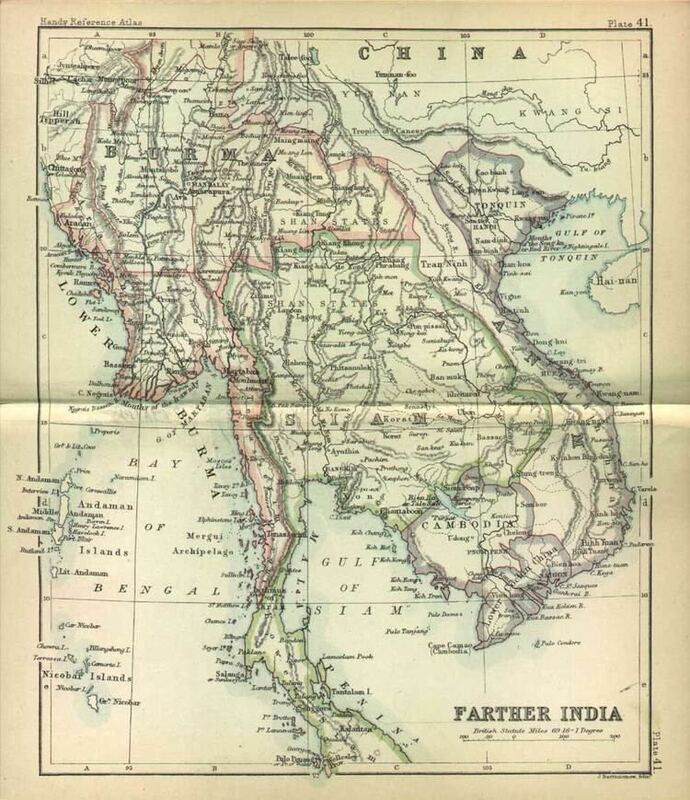 The province was also reorganized into four prefectures, eleven districts, and three sub-prefectures. 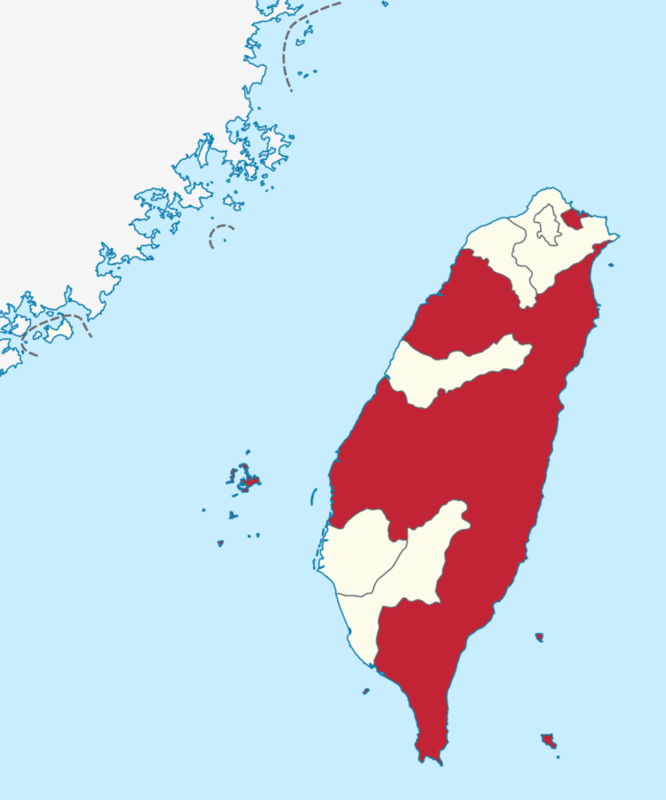 The provincial capital, or "Taiwan-fu", was intended to be moved from the south (modern-day Tainan) to the more central area of Toatun (modern-day Taichung) in the revamped Taiwan Prefecture. As the new central Taiwan-fu was still under construction, the capital was temporarily moved north to Taipeh (modern-day Taipei), which eventually was designated the provincial capital. In 1895, the entire Taiwan Province, including Penghu, was ceded to Japan following the First Sino-Japanese War through the Treaty of Shimonoseki. Under Japanese rule, the province was abolished in favour of Japanese-style divisions. After the surrender of Japan in 1945, the Taiwan was handed over to the Republic of China (ROC). The way that the ROC obtained Taiwan is a subject of controversy that gave root to the complex unresolved political status of Taiwan and the Taiwan independence movement. The ROC government immediately established the Taiwan Provincial Government under first Chief Executive and government-general Chen Yi in September 1945. Chen was extremely unpopular and his rule led to an uprising - the February 28 Incident. Chen was recalled in May 1947 and the government-general position was abolished. When the Republic of China government was relocated to Taipei in 1949 as a result of the Kuomintang's (KMT) defeat by the Chinese Communist Party forces in the Chinese Civil War, the provincial administration remained in place under the claim that the ROC was still the government of all of China even though the opposition argued that it overlapped inefficiently with the national government. The seat of the provincial government was moved from Taipei to Zhongxing New Village in 1956. Historically, Taiwan Province covers the entire island of Taiwan and all its associated islands. The city of Taipei was split off to become a province-level special municipality in 1967, and the city of Kaohsiung was split off in 1979 to become another special municipality. In December 2010, Kaohsiung County left the province and merged with the original Kaohsiung City to become an expanded Kaohsiung City, Taipei County became the special municipality named New Taipei City. The cities and counties of Taichung and Tainan were also merged, respectively, and elevated to special municipality. On 25 December 2014, Taoyuan County was upgraded into a special municipality and split off from Taiwan Province. Until 1992, the governor of Taiwan province was appointed by the ROC central government. The office was often a stepping stone to higher office. In 1992, the post of the governor of the province was opened to election. The then-opposition Democratic Progressive Party (DPP) agreed to retain the province with an elected governor in the hopes of creating a "Yeltsin effect" in which a popular local leader could overwhelm the national government. These hopes proved unfulfilled as then-Kuomintang member James Soong was elected governor of Taiwan province, defeating the DPP candidate Chen Ding-nan. In 1997, as the result of an agreement between the KMT and the DPP, the administration of the province was streamlined and curtailed by constitutional changes. For example, the post of provincial governor and the provincial assembly were both abolished and replaced with a nine-member special council. Although the stated purpose was administrative efficiency, Soong and his supporters claim that it was actually intended to destroy James Soong's power base and eliminate him from political life, though it did not have this effect. In addition, the provincial legislature was abolished, while the Legislative Yuan was expanded to include some of the former provincial legislators. The provincial administration has been greatly streamlined in 1998, and handed most of its power to the central government. The counties and provincial cities under the province then became the primary administrative divisions in the country. In contrast to the past where the head of Taiwan province was considered a major official, the Governor of the Taiwan Provincial Government after 1999 has been considered a very minor position. Since the streamlining of the Taiwan Provincial Government in 1998, the government has been headed by a provincial council of nine members, led by the provincial governor. The members of the Provincial Council are all appointed by the president. The major operations of the provincial government, such as managing provincial highways and the Bank of Taiwan, have been transferred to the Executive Yuan. 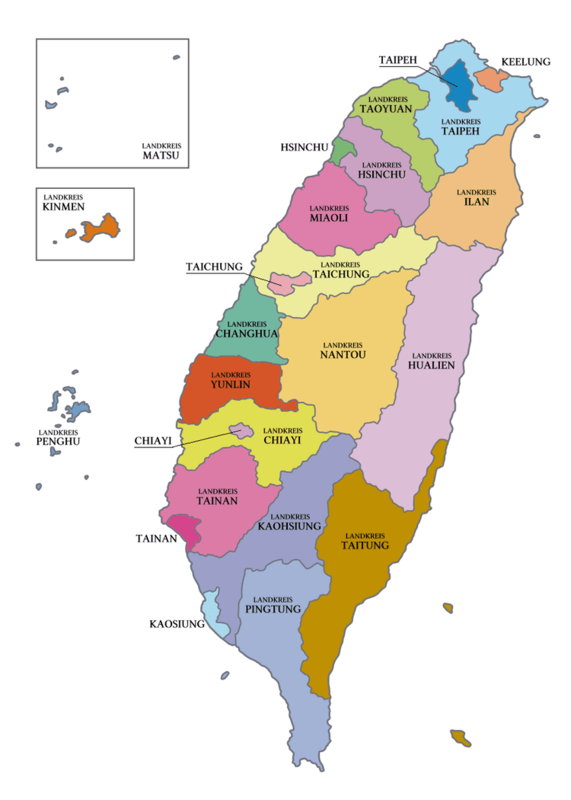 Note: The cities of Kaohsiung, New Taipei, Taichung, Tainan, Taipei and Taoyuan are administered directly by the central government and are not part of Taiwan province. The Senkaku Islands, which are currently administered by Japan, are disputed by both the ROC and PRC, which claim them as the Tiaoyutai/Diaoyutai Islands. The ROC government claims them as part of Toucheng Township, Yilan County. The PRC claims the entirety of the island of Taiwan and its surrounding islets, including the Penghu, as parts of its Taiwan Province, corresponding to the ROC's Taiwan Province before the special municipalities were split off. The PRC claims that Taiwan is part of China, that the PRC succeeded the ROC as the sole legitimate authority in all of China upon its founding in 1949, and that therefore Taiwan is part of the PRC.